This girl and boy go on a date today. But this is no ordinary date. This anniversary. They know each other a year! Today, even the sun shines brighter, the birds are singing beautiful! Let's help the girl to choose the best dress for an anniversary. 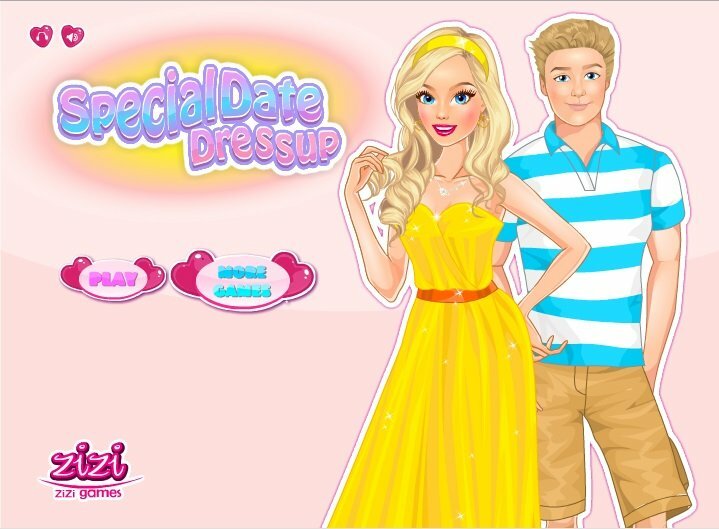 How to play: in this dress up, you can choose a dress and hairstyle for girl. She goes on a date in this image. Use the mouse to carry on girl items and create the most beautiful image of her for a date. Played: 84177. Added: 7-04-2015, 07:25. Our girl in a yellow dress. Girl and boy on a date.